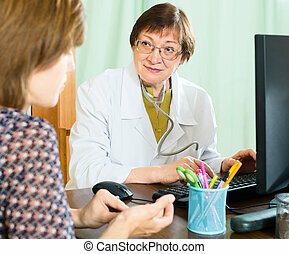 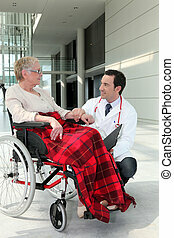 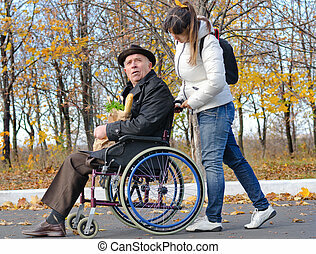 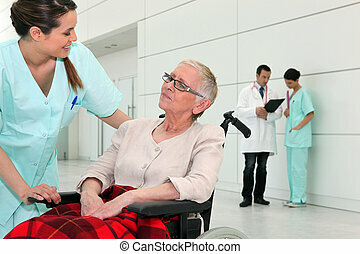 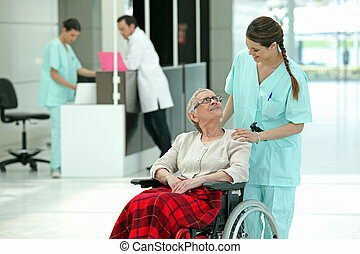 Doctor pushing an elderly woman in a wheelchair. 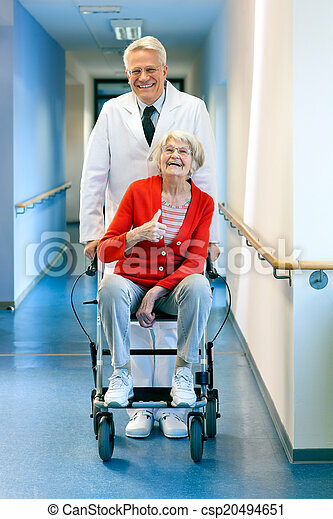 Doctor pushing an elderly woman in a wheelchair as she smiles at the camera and gives a thumbs up gesture to show that she is happy with her progress. 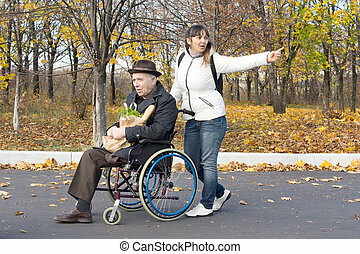 Doctor Pushing An Elderly Woman In A Wheelchair. 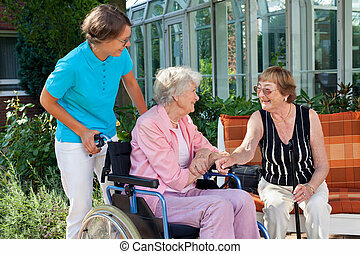 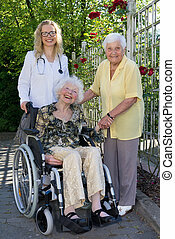 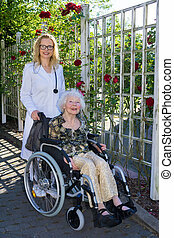 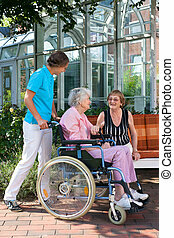 Young Female Doctor, Middle Aged Caregiver and a Disabled Elderly Woman Patient on Wheelchair Smiling at the Camera in the Garden. 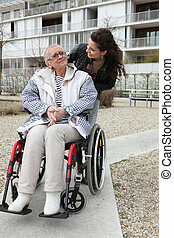 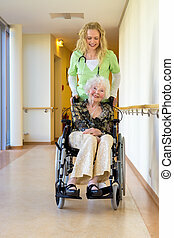 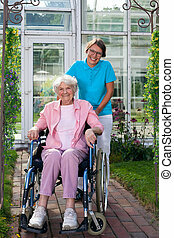 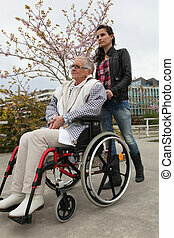 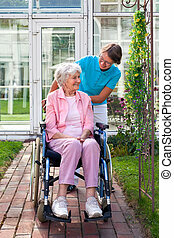 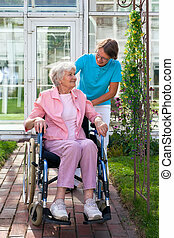 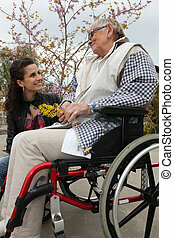 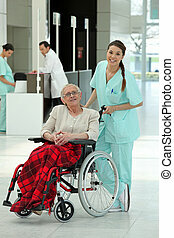 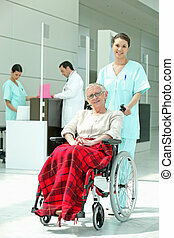 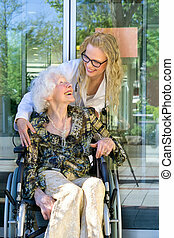 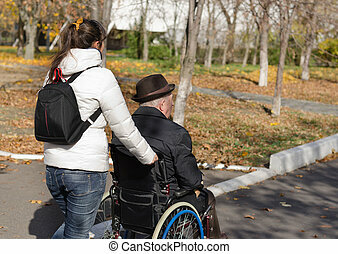 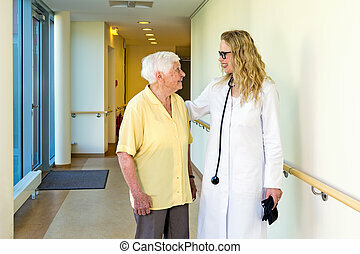 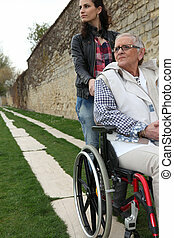 Young Medical Assistant and her Elderly Woman Patient on a Wheelchair Laughing Together Outside the Nursing Home.